TCG seeks a qualified applicant to manage development activities for the agency in our corporate office. The Community Group, an award winning, non- profit agency located in Lawrence, MA receiving local and national acclaim for its model and achievement is seeking an Experienced Grant Writer for the agency. Founded over fifty years ago, TCG has had a successful record for developing and managing a range of education programs for children including charter schools, district schools and early education programs. The development and management of corporate and foundation funding as well as competitive state and federal grants for the agency. Researching, analyzing and identifying likely funding sources for specific projects and programs. Overseeing the creation and editing of grant applications and required progress reports. The Grant Writer will also collaborate at the executive level with program directors to develop and implement strategic planning, advanced degree preferred. The mission of The Community Group is to create, manage, and nurture high quality programs focused on education and related services that support families. 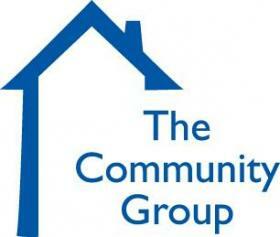 The Community Group (TCG) is a private, nonprofit organization creating opportunities through education since 1970. TCG manages a range of programs, including a network of early childhood and out-of-school time programs, a network of charter and district public schools, consulting and training programs, and a child care resource and referral program, Child Care Circuit. Read more about The Community Group, Inc.